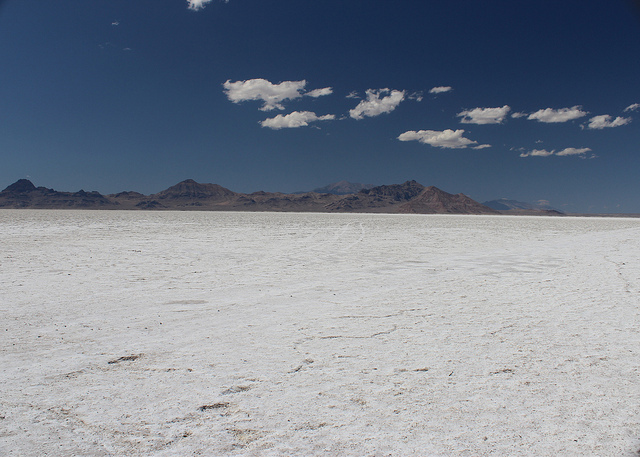 A salt flat is a naturally occurring geographical formation in which an ancient sea has become land-locked . In hot climates, the water gradually evaporates, leaving a breathtakingly dazzling carpet of glistening salt. 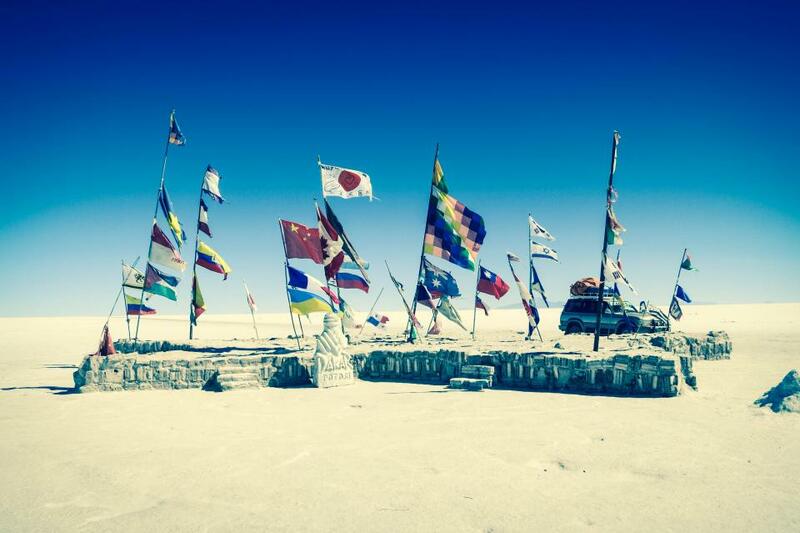 There are a great number of salt flats to be found across the globe. Here are a few highlights that are especially worth putting on your bucket list. The name Etosha is a Ndonga phrase meaning ‘great white place’, which is certainly appropriate considering that this southern African salt pan covers a huge 4,800 km2, and is characterised by its white-greenish surface. The arid nature of the landscape means that very little flora or fauna survive, other than the blue-green algae which gives the salty crust its green tint. On the rare occasions when the area experiences heavy rainfall, water gathers on the surface of the Etosha pan, resulting in a lake about 10cm deep. During these periods, it is typical for the area to become a breeding ground for flamingos, which flock to Etosha lake in their thousands. 3. Bonneville Salt Flats, Utah, USA. At only 104 km2, the Bonneville Salt Flats are by far the smallest on this list, but they’ve arguably seen the most action. 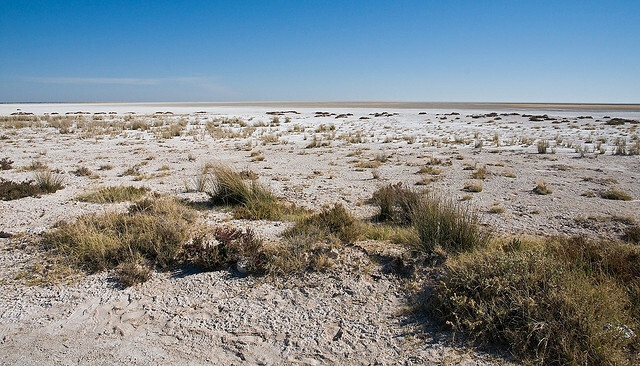 During the Summer, when evaporation levels are at their highest, the flats become completely white and otherworldly, so it’s no surprise really that they’ve provided the backdrop for a number of high profile Hollywood films including Independence Day and Pirates of the Caribbean 3: At World’s End. 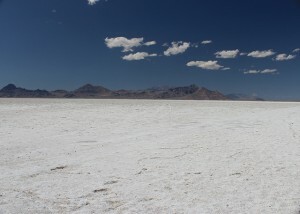 As if a swashbuckling Johnny Depp wasn’t exciting enough, the Bonneville Salt Flats also play host to a number of vehicular racing events, including an international land speed record competition! 2. Chott el Djerid, Tunisia. Fans of Star Wars will recognise these salt flats as the landscape of Luke Skywalker’s desert-like home planet, Tatooine. 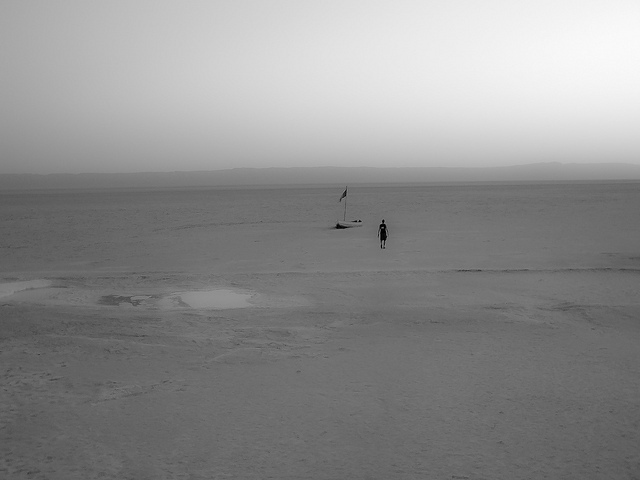 It is the largest salt pan of the Sahara desert, with an estimated surface area of 6000km2. Chott el Djerid is about as hazardous as the Star Wars planet it portrayed, as the salty surface can crack under pressure and leave drivers stranded in the middle of nowhere! The Salar de Uyuni salt flats are the mother of all salt flats. They are the largest by far (clocking in at an estimated 10,000 km2), and the size and dazzling whiteness create an almost out-of-this-world experience. Incredibly, this mineral-rich desert of salt contains an estimated 10 billion tonnes of salt as well as 43% of the world’s lithium reserves, making the Salar de Uyuni one of Bolivia’s most valuable economic assets. However, perhaps the most interesting aspect of this immense salt flat is the potential it has for quirky forced perspective photographs, which are taken in their thousands by tourists from around the globe!